ATHLETICS KENYA – TAKE TWO! Back in the bad old days of amateur athletics, when the federation was God, and even a penny earned for your exploits could get you banned as a ‘pro,’ there was a time-honoured device known as the ‘brown envelope behind the beer tent’. This was the jokey reference to being slipped a couple of pounds (or whatever the currency of the country) if you performed well in the track and field meetings, invariably on grass, organised as part of a County Fair or a Company Sports Day. Those glorious occasions have long since passed into memory and legend – and the couple of quid spent on beer for the boys and girls that same night. But the brown envelope behind the beer tent lives on in a different guise – in payola or bribes, or whatever you wish to call it. Our pennies back then were pretty innocent, far more so than what goes on now with some federations, who evidently still consider themselves as sitting at the right hand of the Deity, if not on the celestial throne itself. Further to news that Athletics Kenya has made a huge, provisional Olympic selection for Beijing of 120 athletes, but then sprung upon them (and their unsuspecting managers) that they have to report to a training camp by Tuesday, May 20 (or else!) one former manager has agreed to go on record at what he feels are systematic abuses of the federation/athlete/manager relationship, and the endemic corruption which characterises Kenyan athletics administraion. Peter Hier has been involved in track and field athletics for over 40 years. I should know because we have known each other for that long, as friends, rivals, and neighbouring club athletes in the West Midlands of the UK. Pete’s dad, ‘Taff’ Hier was a Welsh cross country international, and later, a legendary official in local track circles. Even 40 years on, memory of his stentorian bellow for the, ‘Junior Mile,’ in the West Midlands Track League sends an involuntary shudder down my spine. Pete himself was a sub-50min 10 miler, nothing too much to shout about, believe or not in those days, at the height of the English club system. It would, of course nowadays make Pete an international athlete on the road. When Pete retired, having inherited Taff’s entepreneurial acumen, he went into a variety of businesses, encompassing working with former international (and world cross and Commonwealth Games winner), Ian Stewart in the running retail trade, then working for the UK federation, then managing and coaching (mostly) Kenyan athletes. During that time, he organised the IAAF World Half-Marathon Championships in Bristol in 2001.  Among the things he is doing now, Pete has created the successful website, www.running4women.com, as well as organising one of the UK’s most popular road races, the Windsor Half-Marathon. Pete ceased being a manager in 2005, hence his willingness to talk about what he and most other managers consider abuses on behalf of Athletics Kenya. And he understands why the current managers run scared of being quoted criticising Athletics Kenya. “It show just how powerful a federation can be, if they don’t use their power wisely. But they (AK) are a disgrace. They’re appallingly corrupt. And they always mismanage selection. This training camp stuff is just the latest example. I’ve attended meeting with AK, where they’ve talked to managers as if they were six year old kids, people have almost walked out. They obviously do the same with the athletes. “And as for coaching, don’t get me started. Moses Masai was one of my athletes. I was pleased to see he was fifth in the last world cross. 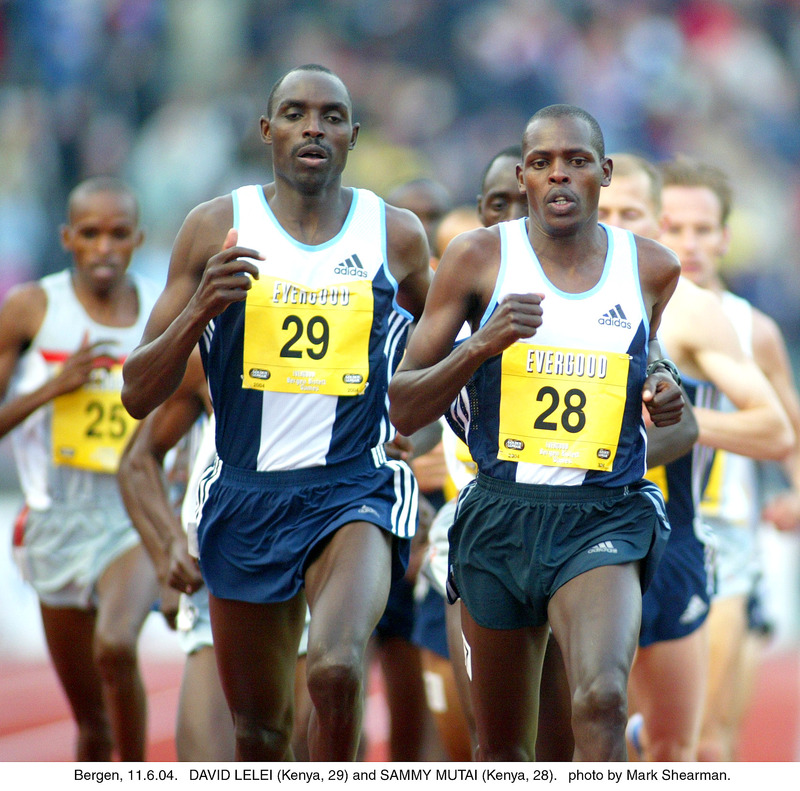 In 2004, he ran 28.20 for 10,000 metres in Nairobi, at altitude. That’s worth around 27.30 at sea-level, and I put him on a programme, and fully expected him to do really well in the world junior. Well, I go to the warm up track in Grossetto, and a Kenyan coach comes up to me and says, ‘Are you Mr Peter, Masai’s coach?’ I said yes, and he apologised to me. He said, ‘I’ve been in charge of him for the last six weeks, but I’m sorry, I’m not a very good coach’. “Nobody was going to beat Boniface Kiprop that day, he finished fourth in the Olympics a few weeks later. But Moses was on his shoulder at halfway in 13.59, but he eventually finished tenth. I was furious. They’d ruined his chances. And he was so upset. I put him back on my programme, and a few weeks later, Wilfrid (Meert) did me a favour, and let him into the Brussels 10k. He ran 27.07. It was a Kenyan junior record. Of course, none of the people from AK who were there had any idea it was a record. That’s what they’re like”. I quoted to Pete a response to my original critical piece from someone calling himself ‘Cheruiyot,’ who says he is Kenyan. The full text is on this site, but ‘Cheruiyot’ writes,’….year in year out we have been accustomed to our athletes performing well in money races and under performing at championships especially the Olympics. Kenyans believe that the managers out there simply enter the athletes in too many races so as to make money for their companies while not caring about them burning out’. Hier says, “To a certain extent, he’s right. There are bad managers, of course there are. And AK regularly says they’re going to weed them out. They once talked about having a basic quota of 22 to 25, but when the list was published, there were 33. The other managers had simply paid to be included. It happens all the time, to all of us. Then there is the fee, AK is the only federation I know, where you have to pay them $1000 to be a manager (now $1500, and some other federations do charge, but mostly far less). Where does that money go? It’s certainly not invested in the athletes. If it wasn’t for Colm O’Connell (the Irish Christian brother, based in Iten, near Eldoret), there’d be even fewer good athletes, because he’s the only one who knows what he’s doing as a coach. One of the more established managers, with a large contingent of athletes says that he has never had to pay a bribe, but concedes that those with only a few athletes probably do. He also thought that AK had been given some government money to prepare for the Olympics, and felt they had to show something for it, hence the knee-jerk setting up of a camp, and the draconian call for the athletes to attend. David Okeyo, secretary of AK categorically denies that the federation has been given any government money. He said today (Monday, May 19), “The government has not given us anything, what we are doing is normal precedure before a big championships. And we are not saying that athletes cannot go to Golden Leagues. Every case will be looked at on merit. All we say is come back to the camp afterwards. Look at the Ethiopians, their government doesn’t even let them out. The IAAF knows what we are doing, and over 90% of the managers agree with us, they think it is a contructive idea. There is no case for alarm”. I rather doubt that 90% figure, unless it is in opposition to the idea. I base that on conversations with several top managers. I also put the allegations of bribery to Okeyo. “That’s not true,” he said, “that has no basis whatsoever. That is malice of the highest order. I only wish you could tell us who said this”. There is one further point that the respondents on this site have referred to, and that is the desire of athletes themselves to maximise their earnings, sometimes at risk to their medal chances in championships. Peter Hier says, “There are some athletes who don’t want to run championships, especially in the marathon, they’ll say we can’t do an Autumn marathon. They’ll say they want to race, and you know that they can always go and find a manager who doesn’t care, and will race the legs off them. Why doesn’t Athletics Kenya get rid of some of these bad managers? Because they know they can get a thousand dollars out of them”. Okeyo responds, “There is a procedure before we take on a manager. First they must apply, then we call them in for a discussion. Then we decide if they can be a manager or not”. No Kenyan has ever won Olympic marathon gold, man or woman. Which is pretty extraordinary when you consider just how much Kenyans dominate the marathon circuit. This year could be different, with Martin Lel and Robert K Cheruyiot – men who have cleaned up in the ‘majors’ in the last three years or so – being joined by exciting youngster Sammy Wanjiru, with last year’s world champion, Luke Kibet as reserve. Kenya is fortunate in having a huge reservoir of talent, and there must obviously be a temptation among some officials to think it’s an endless stream. But it’s not simply frustration at not making Kenyan teams that has persuaded so many youngsters to declare for other countries. The most notable, Stephen Cherono, aka Saif Saaeed Shaheen of Qatar, would be a champion whoever he ran for. There are obviously managers – and I’ve met a few of them – who treat the athletes as a meal ticket, and don’t care about their career or their welfare. It would be sad if there were people like that in Athletics Kenya too.